Petals of Muoli: ARE YOU PREPARED TO BE POOR? ARE YOU PREPARED TO BE POOR? Heck,... what absurdity is this to be prepared to be poor. I am slapping myself too, but this is as sincere and real as I can be.....are you prepared to be poor? The poor has no fixed mould and they are as varied and subjective as in the same way poverty is being argued. Officially Singapore has no poverty, but those who are not so fond of this government are out of their way gathering proofs that this isn't the case. Poor by definition is not having sufficient money to live by normally nor comfortably. Looking at the many schemes available and managed by different government agencies to supplement livelihood give attestation to the existence of many in Singapore needing welfare assistance. The extreme poor, those having no absolute means to sustain their daily livings are officially categorized as "destitute" and therefore qualify for full state assistance. Voluntary Welfare Organizations (VWO) in Singapore look after the destitute by providing them basic livable comfort, healthcare, and some form of social integration, all paid for by the government. No one will be without a home in Singapore. Partial welfare assistance are rendered to individuals and families who are struggling with livelihood but are not in extreme dire state. These are generally termed as "low income" individuals or families. There's of course another group that surfaced recently over national discourse, the "cash poor" but possesses some form of valuable fixed asset like real estates. Broadly, this group consist of retirees in or around their 70s, no longer gainfully employed but possesses properties whose value averages about a million or above. They attracted much sympathy, but also an equal amount of critics too. Question is, are they poor or are they not poor? But the most controversial group is the "ordinary poor". And who are these "ordinary poor" people? They are ordinary Singaporeans who once used to enjoy some level of social status as a working professional, drawing a decent high salary but got laid off and possibly unemployed now or driving a taxi. Others may still be tracking their career but somehow felt that their upward mobility is being thwarted by the emergence of intense competition in the form of foreigner employs. There are also those who run their own small businesses but are suppressed under rising costs and extreme competitions. 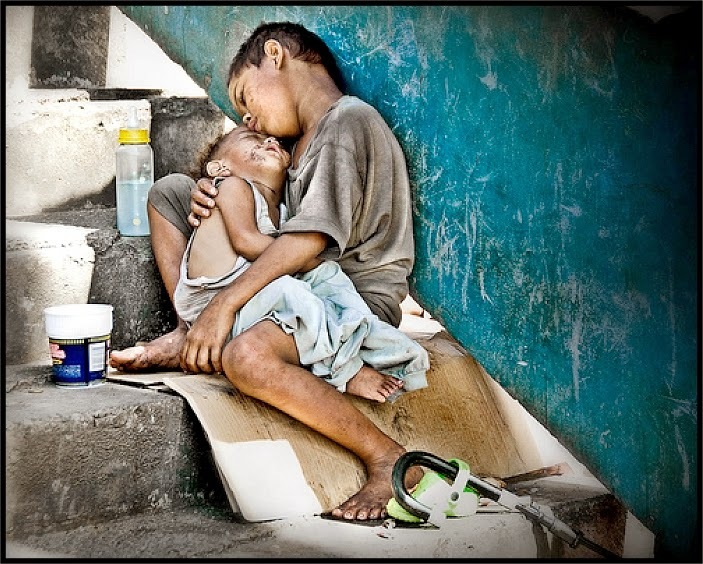 You just can't say that they are not poor, they are. At the least they feel that they are poor and the feeling is real. They also fall within defines of "not having sufficient money to live by normally nor comfortably", except that the twist happens to be with the acceptable standard of normal and comfort. Owning a car was once a normal standard of Singapore living, but are forced to give that up as overall cost of car ownership has skyrocketed. They are no longer rich enough to own a car, and therefore poor. They were once on track to move from public housing to private housing, but that hope is dashed for reasons ranging from escalating property prices, the tightening of credit qualification etc. Another reason why they feel poor is because by contrast their living standard is not rising in tandem with official economic figures. This thinking is being further reinforced when they see more people getting to drive expensive sports cars and owning luxurious bungalows over at Sentosa, not one but many. A small group of people are seen as privileged by opportunities to surge faster and higher in the social hierarchy. It is only natural that when you look at someone taller than yourself, you will feel short. And when you see people richer than yourself, you'll naturally feel poor. And this is the social architecture, a state of mind in the masses was looming for too long, not unnoticed; but unattended. Now we are caught unprepared to be poor. Could we have been better prepared? Perhaps. But then we were really in the thick of excitement, grabbing opportunities and trying to fulfill dreams of success than to spare time thinking what if one day we have to be poor. Would speeding drivers noticed the doomsday prophet standing in the middle of the highway urging slow-down and be careful. He would probably have been knocked down for jaywalking.